Check out CableKeep by Nice by Design, a very clever device that holds your iPhone's wall charger and gives you a place to wrap your Lightning or Dock charger cable. That's cool all by itself, but they designed it in such a way that allows you to rest your iPhone on the CableKeep while it's charging. They've also got one that's designed to hold the larger iPad wall charger, and if that's enough, there are models for European and UK plugs, too. 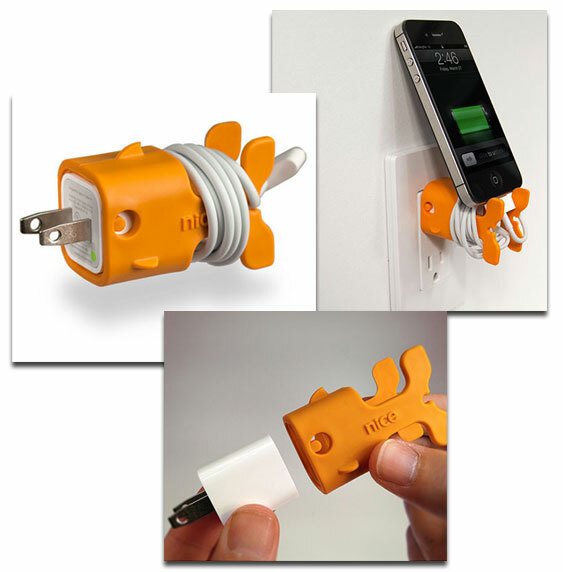 Clever, functional, useful, and fun, all in one package. Oh, and they're available in five different colors. They're US$16 a piece, or you can buy five for $60.